Soccer at a football stadium? 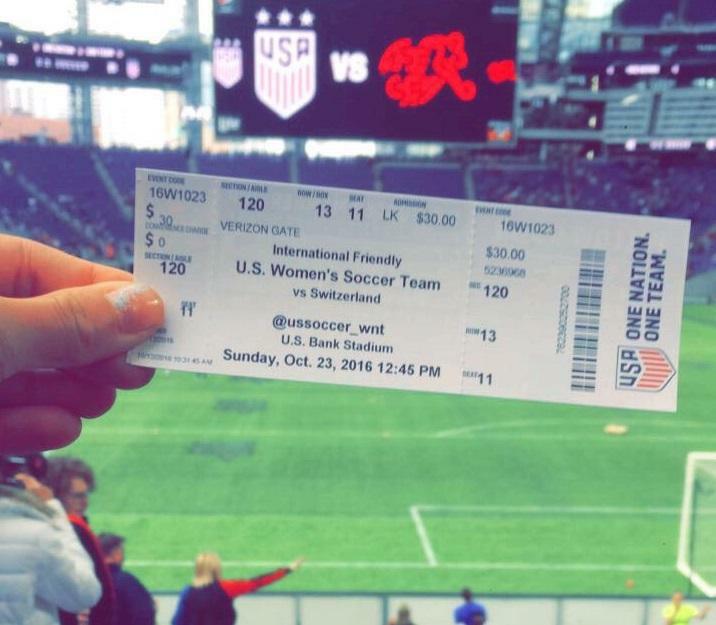 On Sunday, October 23, the U.S. Women’s National Soccer Team played at the U.S. Bank stadium in Minneapolis. Varsity coach, Josh Banks, organized an opportunity to watch this thrilling game for the girl’s soccer program. When the game ended with a score of 5-1, the Cannon Falls soccer girls left with smiles and an experience crossed off their bucket list to end their season. Leading the women’s United States National soccer team, was number ten Carli Lloyd for yet another victory this 2016 season. The US team opponents that day, Switzerland, found themselves at a loss. Just seven minutes into the game Switzerland (SUI) scored the first goal. However, the U.S. scored the next five for a win. Lloyd did not leave Bomber girls disappointed though, but instead, led her team to yet another victory this season. Carli Lloyd had a total of two goals. Christen Press, Crystal Dunn, and Kealia Ohai all scored a goal each. Sandrine Mauron scored Switzerland’s only goal. When sixth grade student, Lydia Pederson, was asked about the game, she said, “…I think the most inspiring thing was when one of the girls was playing for the first time on the USA soccer team and she scored a goal in the first minute she was in…” This was Kealia Ohai, number seven. 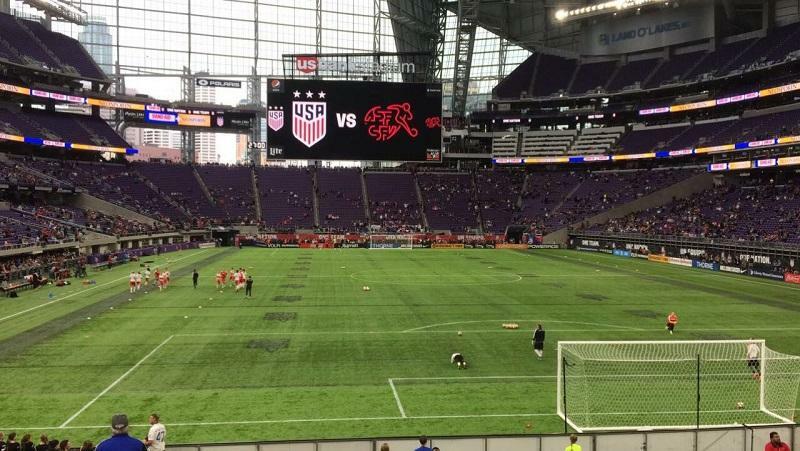 Eighth grader, Belle Freeberg,said she was “…off the walls excited…” before watching the game, which was a great experience for young soccer players. The girls who got to attend the game with the team had premium seats in the 13th,14th, and 15th rows and were just 30 out of 23,400 people present. The Junior High girls soccer season ended with a record of 4 wins-3 losses, such an improvement from last year. Bomber girls are as excited as a dog with a bone to see what next season brings them.